Image from ‘Peret, yo soy la rumba’ TV3 / TVE. 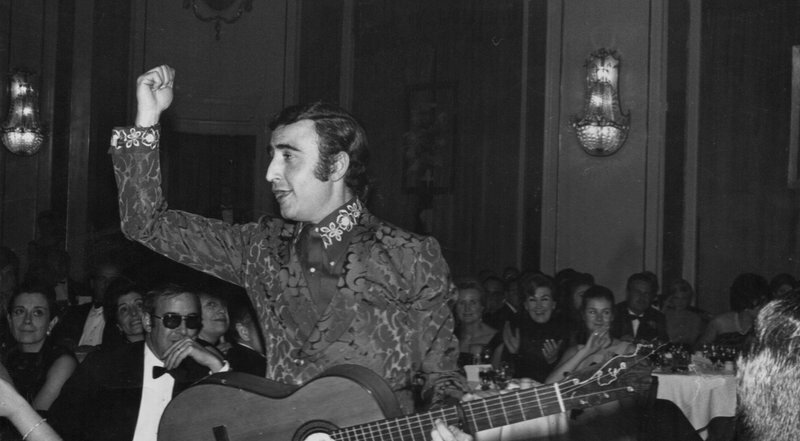 “Peret is a gypsy, but it was paios [non-gypsies] that made him famous; he was born poor in a shantytown in Mataró but ends up quite well-off; he seeks the truth in religion, but comes from a tradition of peddlers who make use of lies and deceit; flamenco is very Spanish and he is very Catalan”. The filmmaker Paloma Zapata summarizes thus the “tensions” that make Peret “a very interesting character”. Zapata’s documentary, entitled “Peret, yo soy la rumba” (Peret: I am Rumba) has appeared at the In-Edit festival and will be released at cinema’s tomorrow.